I recently observed my 5th Tpt-Versary. Many things have happened in my life since I began my Teachers Pay Teachers Journey. Many of you are close to me and know that some of these events have been wonderful, some have been life-altering, and some have been heartbreaking. Through it all, I have been blessed by your support, feedback, and purchases. Thank you for the support you have shown me over the years. Because of you, I have enjoyed this amazing journey over the past 5 years. I am thankful for all of you and want to offer a FREEBIE to show my appreciation. 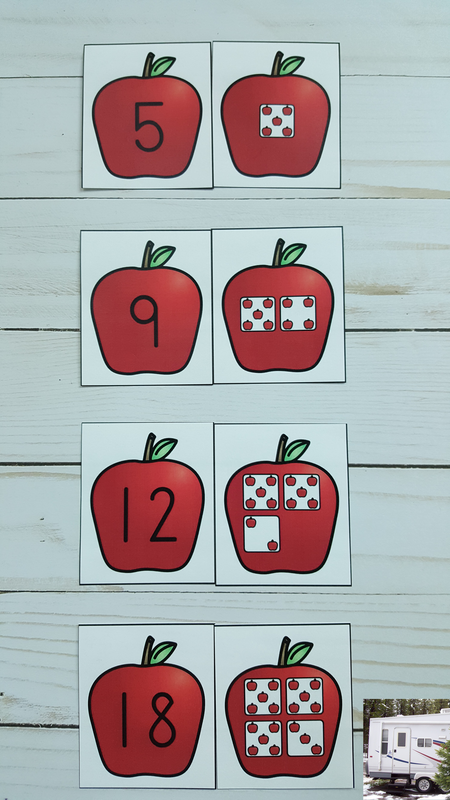 This versatile number sense resource offers your little learners a variety of fun and engaging ways to practice numerals to 20. 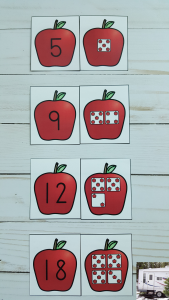 The apple themed cards can be used as matching tasks or as ordering tasks. 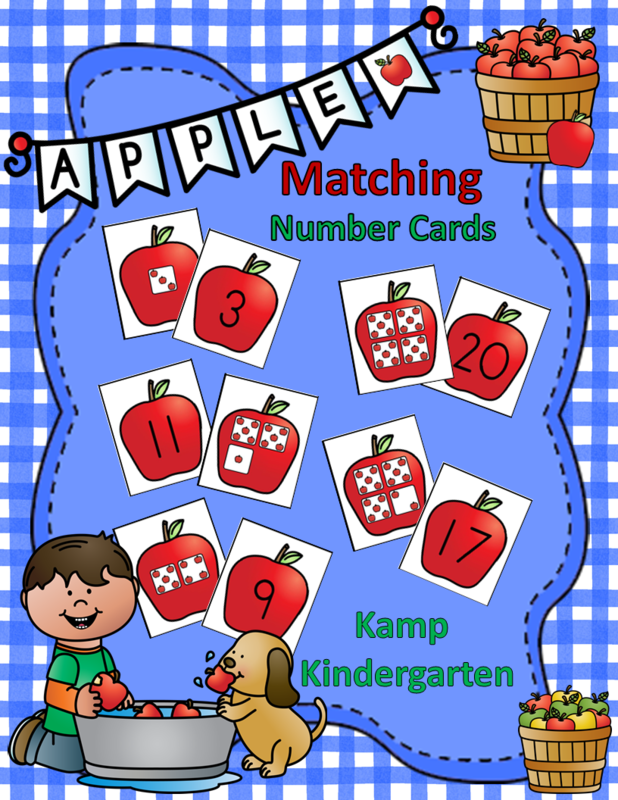 These mental math activities may be used at any time during the year, but also complement autumn/fall, school, farm, harvest, Back to School, or Johnny Appleseed themes. 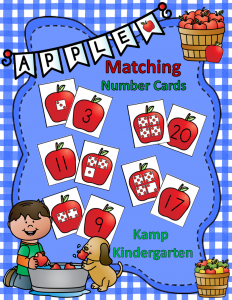 They are a great follow up activity for a farm, cider mill, or apple orchard field trip. 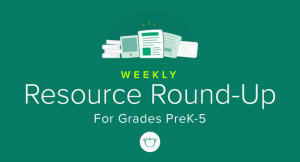 I am excited to share that two Kamp Kindergarten resources are featured in this Teachers Pay Teachers Resource Round-Up. Free and priced resources are included from Kamp Kindergarten and other teacher/authors. Check them out!